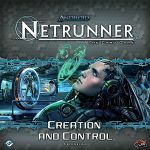 Please to be subscribing to this list if you love Android: Netrunner and want to be updated with the latest tournament news. 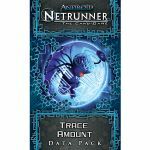 Android: Netrunner is a tense, asymmetrical, and highly interactive card game, first designed by Richard Garfield in 1996. It died, but it slowly built a cult following, and was spoken of in hushed tones and reverent whispers. Now it has exploded back onto the scene, re-implemented by Fantasy Flight Games as one of their Living Card Games! LCGs are like traditional collectible card games, but have no random distribution element; each expansion comes with all the cards you need to build a full playset right there. This lowers the cost dramatically, allows for players to freely experiment with decks, and generally makes constructed deck games much healthier and more interesting. A:NR sees players building and playing not one, but two distinct decks: one as a massive Corporation, and another as a plucky Runner. Each side plays completely differently, with the Corporation trying to protect their servers with electronic security, lethal traps, and psychological manipulation. The Runner, meanwhile, is the invader, trying to cut through these defenses with everything from works of programming genius to a simple energy drink. All while protecting themselves from corporate reprisal, which can range from inconvenient to lethal. Each side has the same objective, to get to 7 agenda points: the Corporation must advance their agendas to score them, a process that takes time and resources. Runners, meanwhile, need to steal these agendas out from under Corporate protection, and can even hack into the Corp player's very hand, deck, and discard pile in search of paydirt. The game is fast-moving, mentally challenging, and highly skill-dependent. Join us, and test your abilities to predict, react, and adapt on both sides of this amazing, evolving game! Now in Sacramento! Please let me know (reply, geekmail, e-mail, comment, whatever) if you plan to come, so I have an idea of headcount. 1st: Playmat, choice of 1 alt-art Personal Evolution or a deckbox. 2nd&3rd: Choice of one of the remaining prizes. - All players that show up to the tournament will receive an alt-art of Aesop's Pawnshop as a participation prize. - The player with the lowest placing who stayed until the end will receive an extra alt-art Pawnshop as a sportsmanship prize. - My prestige will not count for prizes except for people's SoS. I may sit the tournament out if it prevents having a bye. - All remaining alt-art Pawnshops will be given out one-by-one to people, based on performance. Entry fees beyond the minimum to cover the pack will be given out as store credit prizes in a raffle at the end of the tournament! $5 entry fee. All proceeds will be used for prize support; Great Escape Games does not pocket any %. 4-5 rounds of Swiss. 65 minute rounds. Please let me know (reply, geekmail, e-mail, comment, whatever) if you plan to come, so I have an idea of headcount. We should have another Season One kit on deck for June. Welcome to Season 2, 2014! Please let me know (reply, geekmail, e-mail, comment, whatever) if you plan to come, so I have an idea of headcount. We should have another Season One kit on deck for June. - The player with the lowest placing who stayed until the end will receive an extra alt-art Pawnshops as a sportsmanship prize. The competition rolls on! I've let Great Escape know we'd like to have the last Saturday of each month be the designated monthly ANR date. Of course we might not be able to always get it, as major events come up, but hopefully we can get as close as possible. Please let me know (reply, geekmail, e-mail, comment, whatever) if you plan to come, so I have an idea of headcount. We should have another Season One kit on deck for June. 1st: Playmat, 1 alt-art Engineering the Future or a deckbox, and 1 alt-art Wyldside. 2nd&3rd: Choice of one of the remaining prizes and alt-art Wyldside. 4th: Remaining prize and 1 alt-art Wyldside. - All other players with equal prestige to 4th place will receive 2 alt-art Wyldside. - The player with the lowest placing who stayed until the end will receive 1 alt-art Wyldside as a sportsmanship prize. - All remaining alt-art Wyldside will be given out one-by-one to people below the prestige threshold for receiving two, starting with the top placers in this group. If there are remaining copies after everyone has at least one, some people from this group will get two, again based on placement. Season One 2014 continues! Please let me know (reply, geekmail, e-mail, comment, whatever) if you plan to come, so I have an idea of headcount. I apologize for not having one in April, there were some issues beyond anyone's control that really messed things up. We're back on track now, Netrunner cannot be stoped! The beginning of Season One, 2014! Please let me know (reply, geekmail, e-mail, comment, whatever) if you plan to come, so I have an idea of headcount. This is the first event in a while not to be set around a holiday or other major event, so I expect turnout to be high! 1st: Playmat, choice of 1 alt-art Engineering the Future or a deckbox, and 1 alt-art Wyldside. 2nd: Choice of one of the remaining prizes and alt-art Wyldside. 3rd: Remaining prize and 1 alt-art Wyldside. - All other players with equal prestige to 3th place will receive 2 alt-art Wyldside. - My prestige will not count for prizes except for people's SoS, and will instead take the standard TO prize of 1 of each alt-art. I may sit the tournament out if it prevents having a bye. - All remaining alt-art Wyldside will be given out one-by-one to people below the prestige threshold for receiving two, starting with the top placers in this group. If there are remaining copies after everyone has at least one, the top people from this group will receive a second copy, again based on placement. This is the Store Championsip for Great Escape Games! Please let me know (reply, geekmail, e-mail, comment, whatever) if you plan to come, so I have an idea of headcount. The event is capped at 32 people, and the special prizes may attract a lot of participants, so please be sure to be on time. EDIT: remember, this is a premier event, so make sure to bring a decklist. The top 4 placers will need to submit their decklist for review. 1st: A Wotan playmat, championship plaque, choice of one of two custom deckboxes, and a ticket worth a one-round bye at regionals. 2nd A Wotan playmat and remaining deckbox. 3rd & 4th A Wotan playmat. - Additionally, all players in attendance will receive an alt-art Kati Jones. Entry fees beyond the minimum to cover the pack and any remaining kati Jones will be given out as store credit prizes in a raffle at the end of the swiss rounds! 5 rounds of Swiss, with a cut to a top-4 double elimination bracket. 65 minute rounds, with no time limit in the grand finals match. 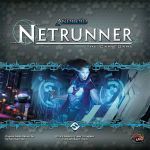 First Netrunner tournament of the new year! Please let me know (reply, geekmail, e-mail, comment, whatever) if you plan to come, so I have an idea of headcount. It helps with the logistics of the tournament. 1st: Playmat and 1 alt-art Datasucker. 2nd & 3rd: 2 alt-art Adonis Campaign. - All other players with equal prestige to 3th place will receive 2 alt-art Adonis. - The player with the lowest placing who stayed until the end will receive 1 alt-art Adonis as a sportsmanship prize. - My prestige will not count for prizes except for people's SoS; I may sit the tournament out if it prevents the other players from having a bye. - All remaining alt-art Adonis will be given out one-by-one to people below the prestige threshold for receiving two, starting with the top placers in this group. If there are remaining copies after everyone has at least one, the top people from this group will receive a second copy, again based on placement. 4-5 rounds of Swiss, no cut to elimination. We will do 5 rounds if 18+ people show up. 75-minute rounds for 4 rounds of Swiss, 65 minutes for a 5 round tournament. Next tournament is happening Please let me know (reply, geekmail, e-mail, comment, whatever) if you plan to come, so I have an idea of headcount. It helps with the logistics of the tournament. - As TO, I get the standard TO prize of 1 of each alt-art card in lieu of one from performance. My prestige will not count for prizes except for people's SoS. Sacramento has finally got its very own Netrunner tournament! Please let me know (reply, geekmail, e-mail, comment, whatever) if you plan to come, so I have an idea of headcount. It helps with the logistics of the tournament. 1st: Playmat, 2 alt-art Scorched Earth, and 1 alt-art Kate. 2nd: 2 alt-art Scorched Earth and 1 alt-art Kate. - All other players with equal prestige to 3th place will receive 2 alt-art SE. - The player with the lowest placing who stayed until the end will receive 1 alt-art SE as a sportsmanship prize. - As TO, I am not taking any prize. My prestige will not count for prizes except for people's SoS. - All remaining alt-art SE will be given out one-by-one to people below the prestige threshold for receiving two, starting with the top placers in this group. If there are remaining copies after everyone has at least one, the top people from this group will receive a second copy, again based on placement. Entry fees beyond the minimum to cover the pack will be given out as additional prizes. Jigoku81 (John) is T.O. for this tournament. Prize support to be announced. Edit: I anticipate editing years next month. Jan 11 is a Sunday. starts at 10am 1st round starts at Noon. D.K will be the TO. I'm "trying" to get some go7click trackers for more prizes but keep having issues. Hit up the fb page if you have any questions and since Great Escape isn't having any store champs for any games this year this might be the only sacramento one, so if you know any other local stores feel free to let us know.